Water biodegradable urns are designed to break down quickly and naturally when placed into water. As they dissolve, the cremated remains are released into the water. 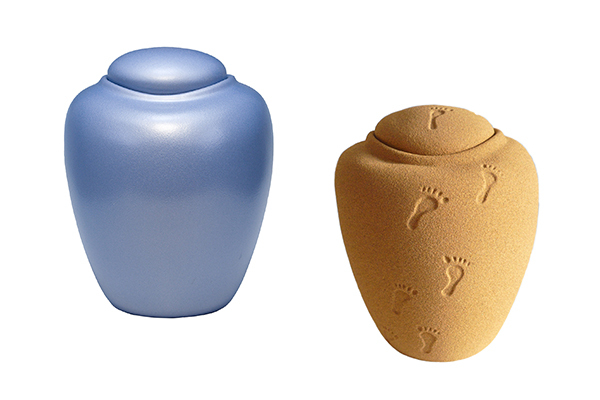 These urns come in different styles and shapes and are made from several types of materials. 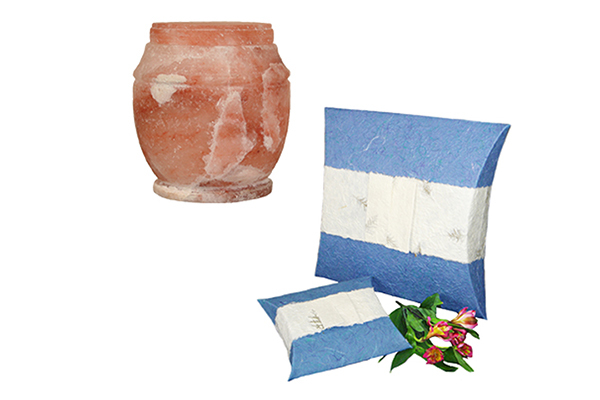 Himalayan rock salt urns are hand-made by skilled artisans. These urns are created from blocks of solid rock salt from some of the oldest and purest salt deposits on earth. This urn will sink quickly in the water and dissolve within four hours. 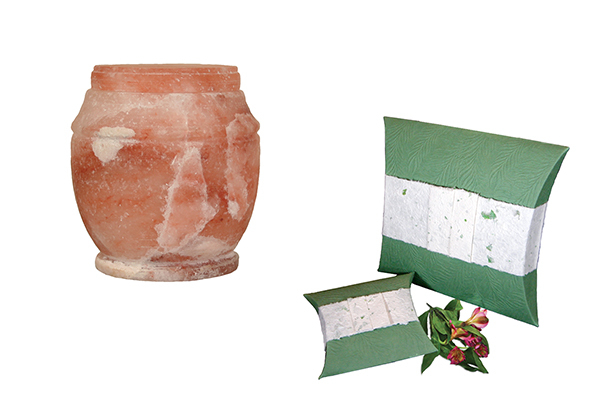 Sustainably-produced, biodegradable paper urns are available in several styles and many colors. Painted urns use only water-based paints to avoid tainting the water in which they are placed. 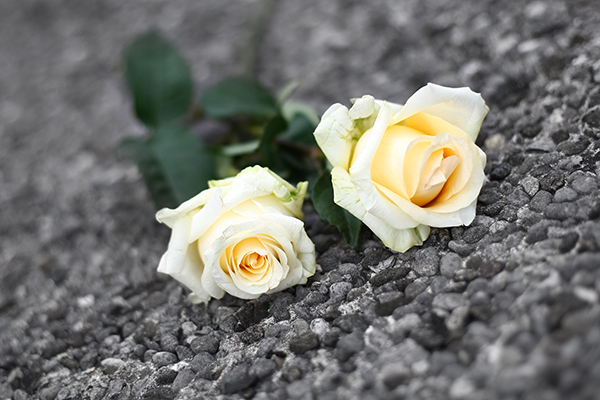 Recycled paper urns are made from pressing paper into molds and only use non-toxic glues. Other urns are made from a mixture of sand and gelatin. These urns are designed to float briefly and then dissolve into the water over several hours. This minimizes the impact on local aquatic life. 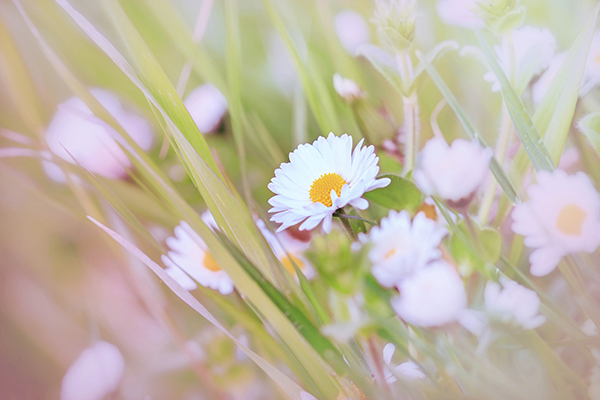 Many of our water biodegradable urns come in small sizes, in case multiple family members want to participate or create their own small memorials. When placing an urn in the ocean, please be sure to observe federal regulations. To request a permit to place an urn in a lake, river or other waterway, contact the state branch of the Environmental Protection Agency.